This was my semi-fancy dinner that I made for my mom and I. It was part of a serious baking weekend, but was a great dinner, made even better with a nice glass of white wine and great company. Sometime we need to make ourselves a semi-fancy dinner...even if we just enjoy it in front of the TV, watching a movie. Plus, I don't know what it is, but I might currently be loving mushrooms...cooked only though. Please, don't put raw mushrooms in my salad...I will eat around them. But yeah, try this tart. Eat is earthy, and both sweet and savory with the shallots and mushrooms. Plus, the parmesan cheese is salty and the goat cheese is so delicious and creamy. Any ways, if you like mushrooms, please try this recipe. You can make these the day before and reheat in a 300 degree oven for 8-10 minutes. Enjoy! 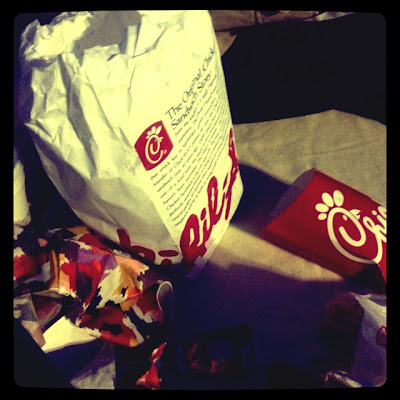 ...and great for finally having a picnic with a boy...aka Charles who is leaving today...while watching this cool installation at the Hirshhorn Museum. One sheet of puff pastry, quartered and then scored. 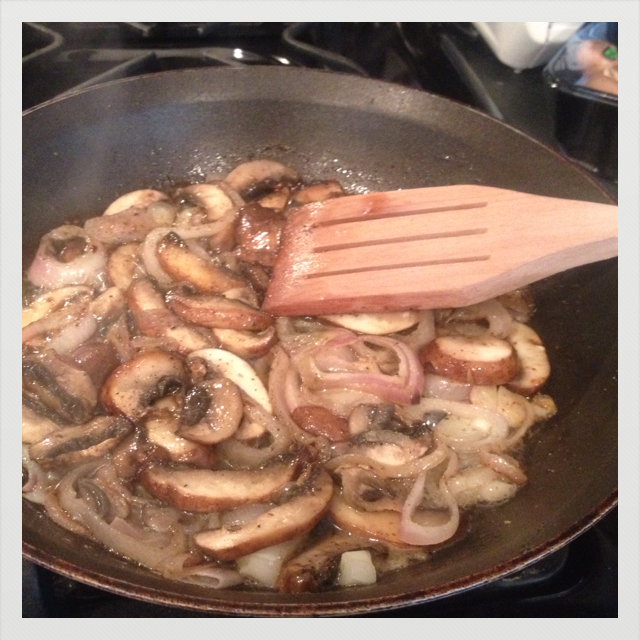 Yummy mushrooms and shallots sauteed in butter. This was my dinner...so much green. 1. Unfold one sheet of defrosted puff pastry. Cut sheet into 4 squares. 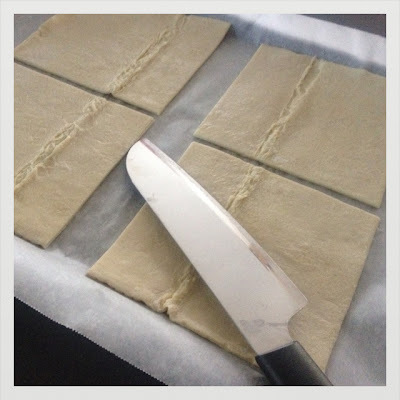 Using small knife, score 1/2-inch border (do not cut through pastry) around inside edges of each square. Arrange squares on 2 rimmed baking sheets. Place back in the refrigerator to keep cool. 2. Melt butter in heavy large skillet over medium-high heat. Add mushrooms and shallots, then sprinkle with 1/8 teaspoon coarse salt and 1/8 teaspoon pepper. Sauté until tender and lightly browned, about 4 minutes. 3. Transfer mushrooms to a large bowl and then stir in the parmesan cheese; cool about 10-15 minutes. 4. 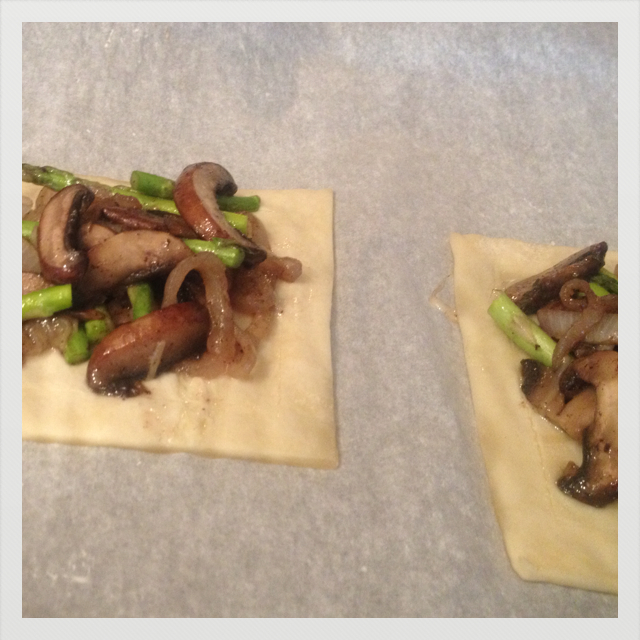 Once mushroom-onion mixture has cooled, add in asparagus. 5. Position 1 oven rack in top third and 1 rack in bottom third of oven and preheat to 400°F. Mound filling atop pastry squares, leaving 1/2-inch plain border. 6. Bake tarts 12 minutes. 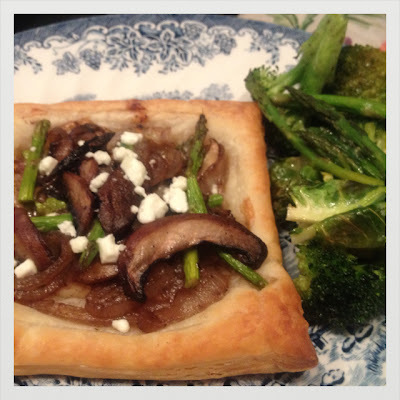 Reverse sheets and top tarts with goat cheese. Continue to bake tarts until crusts are puffed and golden and filling is cooked through, about 10 minutes longer. Transfer to plates and enjoy! P.S. These tarts are great re-heated in the oven. The flavors really come together and the puff pastry reheats and stays crisp.